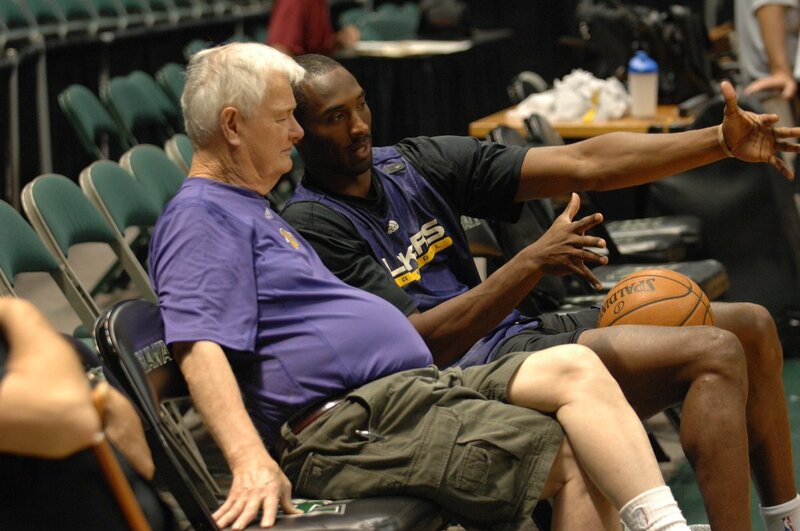 MANHATTAN, Kan. (AP) — Tex Winter, the innovative ”Triangle Offense” pioneer who assisted Phil Jackson on 11 NBA championship teams with the Chicago Bulls and Los Angeles Lakers, has died. He was 96. Winter published ”The Triple-Post Offense” in 1962 and teamed with Jackson to use the system to great success with Jordan and Kobe Bryant. Winter assisted Jackson on championship teams with the Bulls in 1991, 1992, 1993, 1996, 1997 and 1998, and the Lakers in 2000, 2001, 2002. He was a consultant with Los Angeles’ 2009 title team, and the Lakers also won in 2010. ”Tex Winter was a basketball legend and perhaps the finest fundamental teacher in the history of our game,” said Bulls President John Paxson, a former player under Winter. ”He was an innovator who had high standards for how basketball should be played and approached every day. My mentor. I sat with Tex & watched every minute of every game during our 1st season together. He taught me how to study every detail. He was a bball genius in every sense of the word. I’ll miss him deeply. Thank you Tex. I wouldn’t be where I am today without you. Rest In Peace.